Synopsis: Following the assassination of President John F. Kennedy, First Lady Jacqueline Kennedy fights through grief and trauma to regain her faith, console her children and define her husband’s historic legacy. 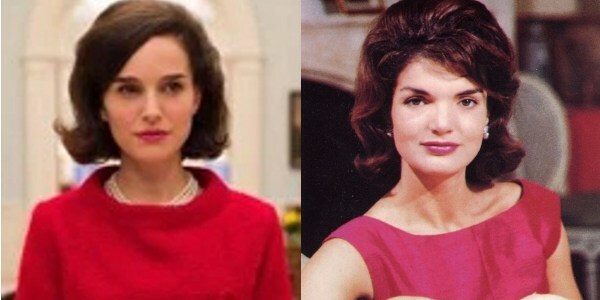 From Chilean director Pablo Larrain [Tony Manero (2008), No (2012)] Jackie is a searing and intimate portrait of one of the most important and tragic moments in American history, seen through the eyes of the iconic First Lady, then Jacqueline Bouvier Kennedy (Natalie Portman). Jackie places us in her world during the days immediately following her husband’s assassination. Known for her extraordinary dignity and poise, here we see a psychological portrait of the First Lady as she struggles to maintain her husband’s legacy and the world of ‘Camelot’ that they created and loved so well. The framing device for the film’s narrative is an interview which Jacqueline Kennedy gave. In the film Billy Crudup plays an un-named journalist – based on Theodore H White of Life magazine. There are strong supporting performances from Peter Saarsgard as Bobby Kennedy and John Hurt as a priest. An intimate, episodic and often frantic portrait of events during a nightmarish two or three day crisis, Jackie delivers a tour-de-force performance from Portman, creating an image of an enigmatic woman at this pivotal time in history. Expect award nominations!